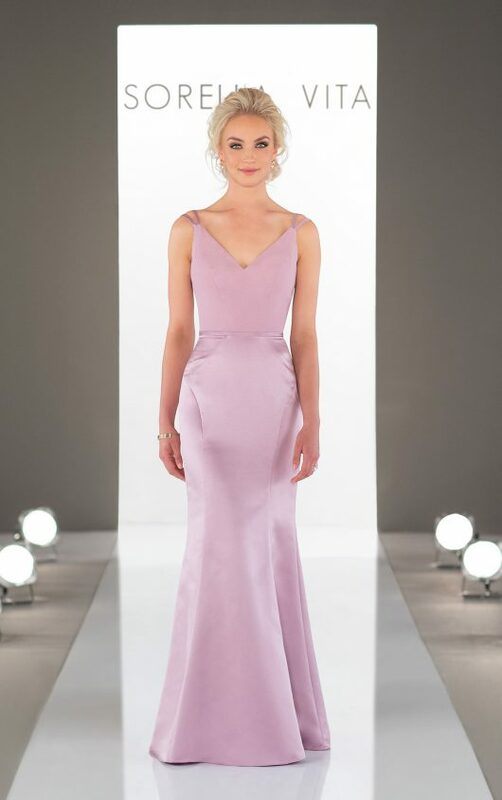 Taking the mixed materials trend a step further, Sorella Vita has created this fit-and-flare bridesmaid dress. A matte chiffon top in a V-neckline has cool double straps that lay delicately on the shoulder and draw down the back. The fit-and-flare satin skirt give this little number a more traditional style.